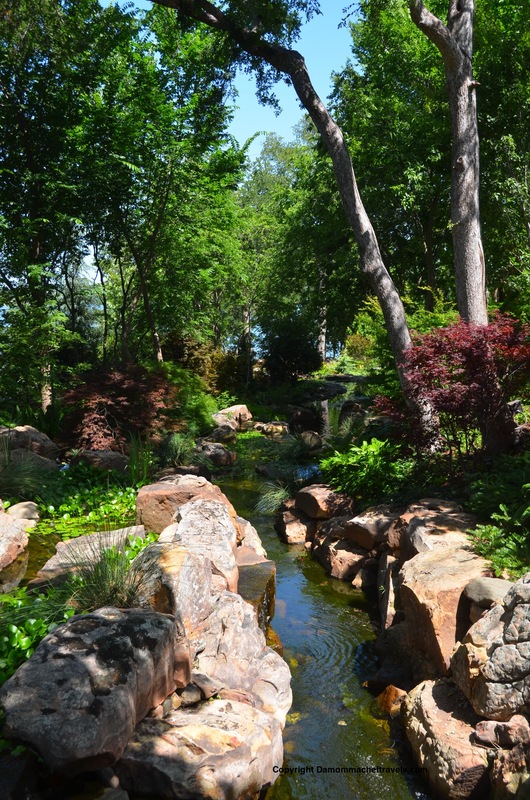 My first bit of advice if you are visiting the Dallas Arboretum in the summer months: go early in the day. Or you will melt. Melt into a puddle on the ground. Let’s just say it was a touch warm. We got there by 10 AM, but that did not help us much. Better yet, perhaps this place is best visited in the spring or fall. Nonetheless, despite the heat it is a beautiful place to visit and we enjoyed ourselves. If we were really with the program we would have waited for a tram tour and not walked the distance. Perhaps we wouldn’t have had to wring out our clothes then. 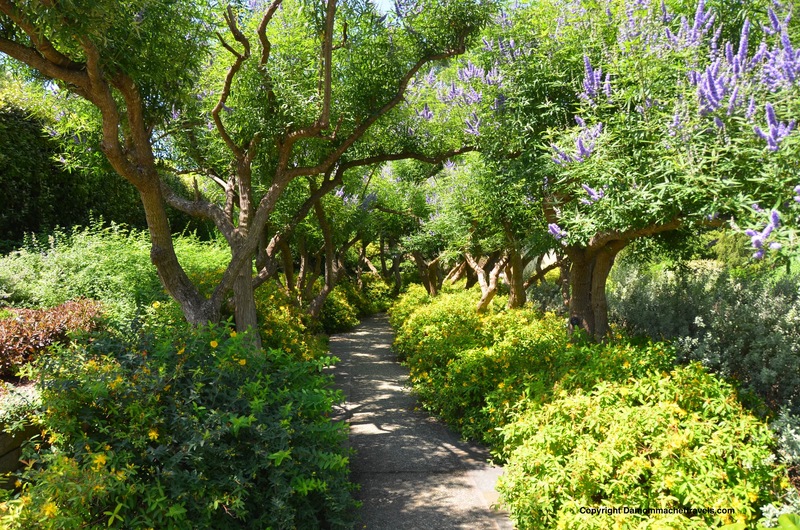 The Arboretum has 66 acres to call its own, and includes gardens, paths, and water features. We were given a map of the gardens, but we found them a little difficult to follow as the features are numbered on the map but are not indicated in the gardens. 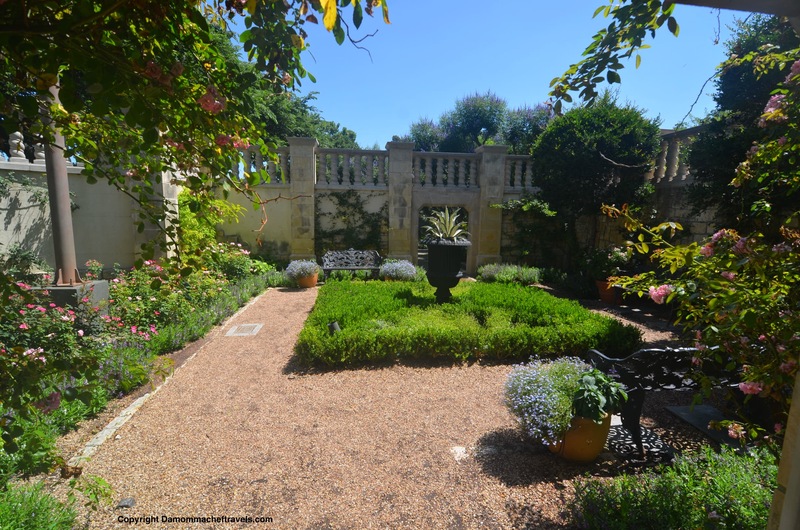 And the different garden areas are not so distinct that you can easily tell you are moving from one to the next. It was more seamless, with a lot of foliage being consistent from one place to the next. Also, during the summer months they feature Alice in Wonderland topiaries, which we found a bit underwhelming. They were pretty much structures covered with potted plants, not true topiaries. 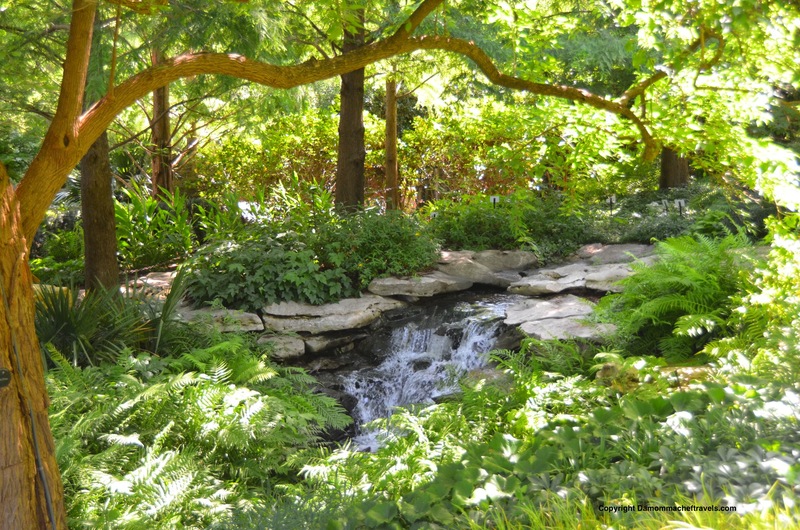 So perhaps the gardens are not as structured or elaborate as somewhere like the Butchart Gardens in Victoria, but they still have some absolutely exquisite spots that make the visit definitely worthwhile. Let’s start with my favorite spot. This little gem wasn’t even on our map. I have always wanted to make something like this in my own yard ever since I read Secret Garden as a little girl. This is the walled Poet’s Garden, and I thought it was just about perfect. 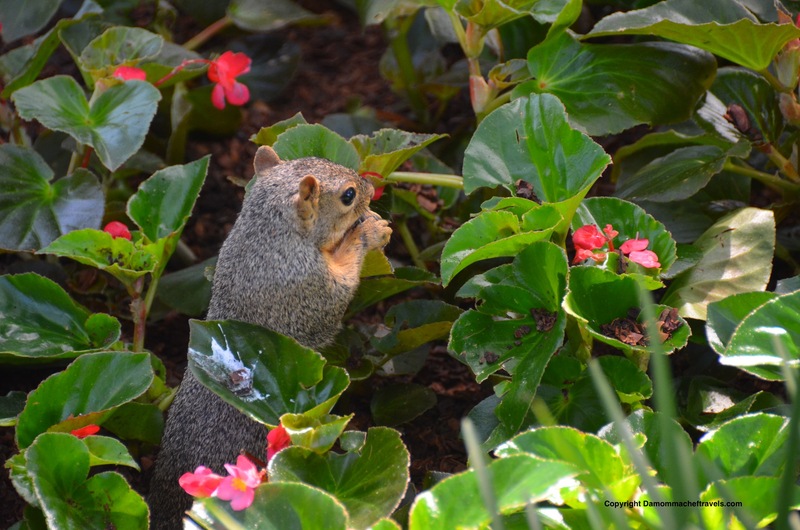 There were squirrels everywhere. They seemed quite used to human visitors. Good thing I left my dog at home. He knows how evil squirrels really are. 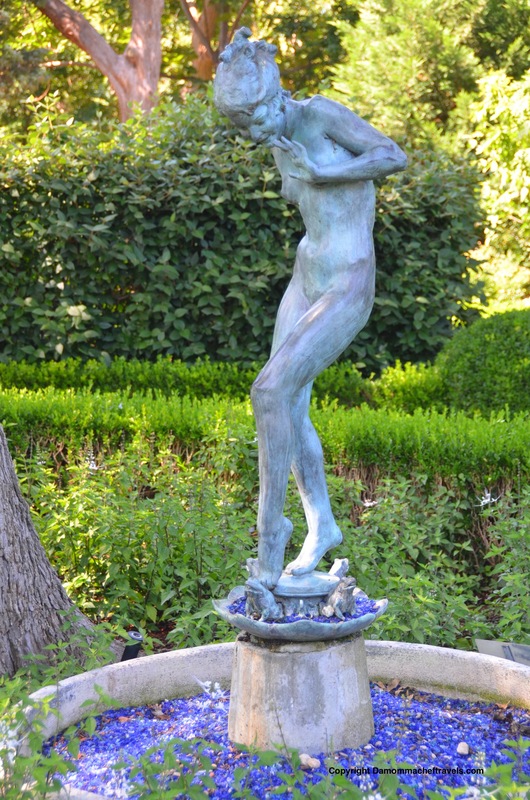 I happen to love statuary in a garden. It’s sooooo Italian. But I also think it only works if you have a lot of expansive property to work with, otherwise it looks kitschy. Luckily, 66 acres is plenty of space to pull it off. I thought this spot was breathtaking and the perfect photo op. Luckily I have a husband who likes to take photos for me. This looks like it belong in a calendar! It was so hot! 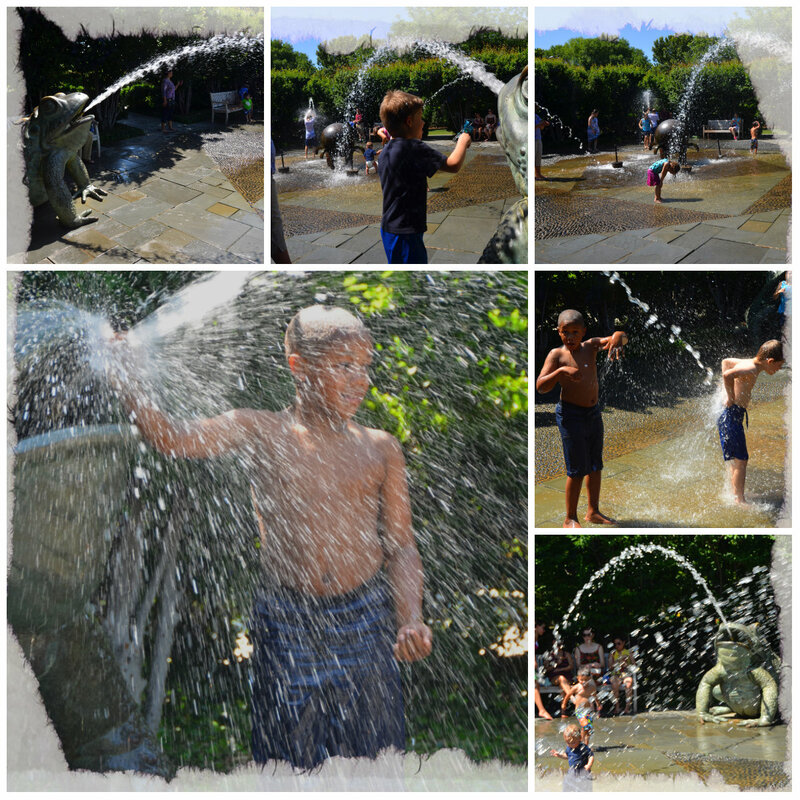 The kids (my youngest and her cousins) were glad to play in the Froggie Fountains. It didn’t take them long to dry afterwards. 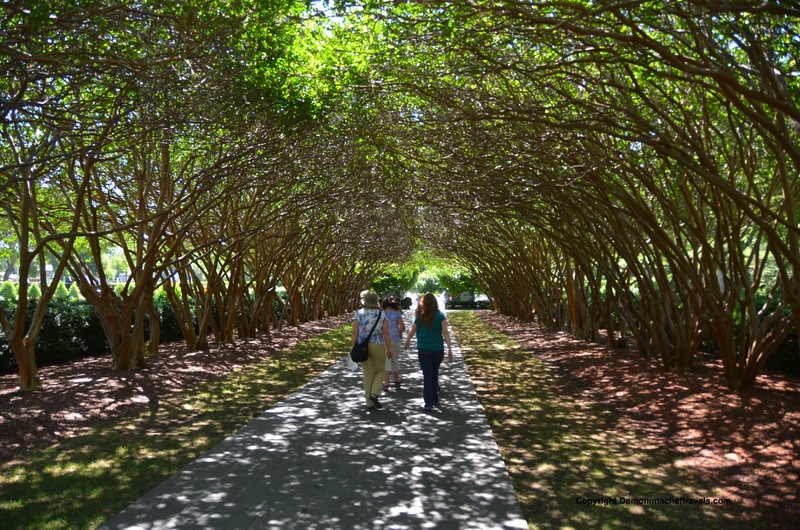 I think it I lived in Dallas I would get a year pass to the Arboretum. That way I could experience the different seasons through the flowers and fauna. I have heard the colors in Autumn are lovely. This is a beautiful respite from city living. For more information, here is their website. What a beautiful place. That poet’s garden looks English.